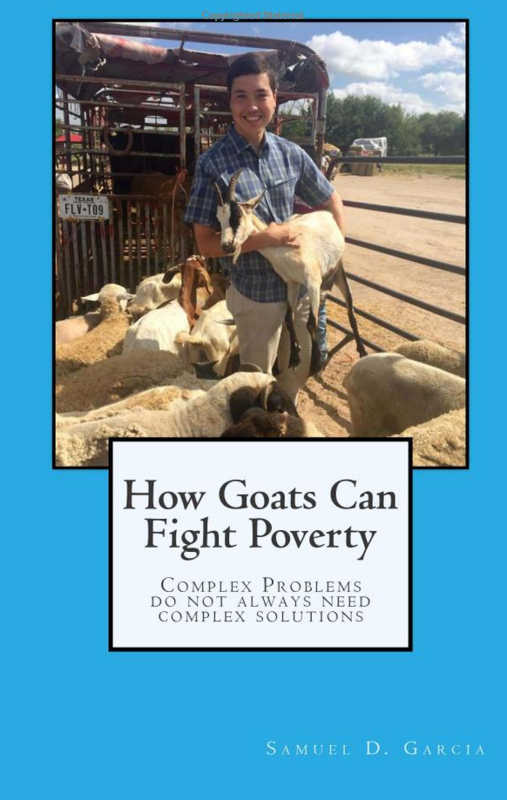 Samuel Garcia, a business honors senior at UT Austin, has “a goat idea” for fighting poverty. 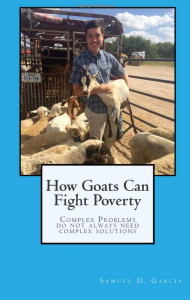 No, that’s not a typo; goats are a big part of his plan to help farmers break out of the vicious cycle with nothing more than some goats, some plants and some cooperation. Read on to learn more about his plan—and how it could potentially alter the fate of the many families that are struggling to survive in a poverty-stricken Colonias just outside the Rio Grande Valley. A quarter of the proceeds from the sale of his book will go toward the Knapp Community Care Foundation and another quarter will go to LUPE, an outreach program in the Rio Grande Valley. Why are you passionate about fighting poverty? 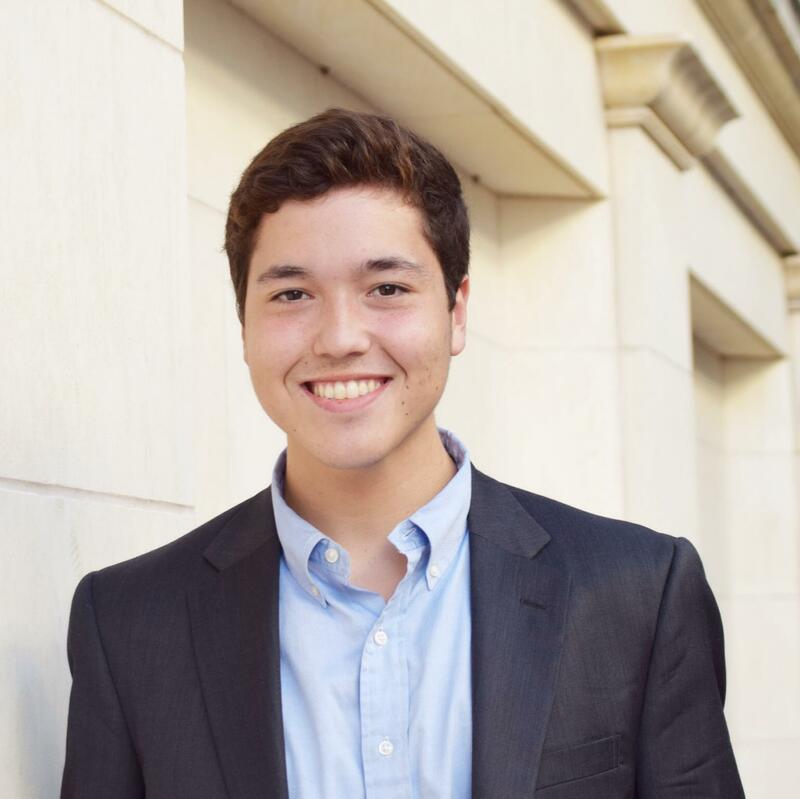 Samuel Garcia is a senior in the McCombs School of Business, and a participant in the Intellectual Entrepreneurship Program. My father loved the people of the Rio Grande Valley and throughout his life fought to make conditions better for those that live there. When he passed, I decided that I wanted to carry on his legacy of helping people in the Valley, and I thought the best way to do that would be through coming up with a way to face the problem of poverty in the Valley. How did your study abroad experience in Argentina inspire you to write this book? Well the Argentines had a peculiar way of dealing with the issue of razor-thin margins on their crops. Small farmers knew that it was possible for them to make a living off of farming, but did not have a line of credit available to them (that had feasible interest rates) to make the initial investment. So small farmers banded together in order to split large costs and have the ability to fill out large contracts. This then became the foundation for my idea. What is “a goat idea?” Could you give an example? Well absolutely! Simply put, I want to give 30-40 families goats so that they can become a cooperative that makes cheese in the same way a real goat dairy would. I want people to start thinking that complex problems like poverty do not always need complex solutions. My solution involves nothing more than some goats, some plants and some cooperation. Do you have plans for a second book? As of right now, I am contemplating whether to release a second book that explains the plan, obstacles and solutions in painstaking detail. I was not afforded the luxury of doing that in the first book because people would stop reading after the first page, so it had to be somewhat interesting. The next one would be a lot more like a manual rather than a short story. I would like to thank a few people and programs for helping me to get to this point. First, the IE program helped me to realize that undergraduates could actually write about research and ideas that change the world! I saw a lot of kids actually help with groundbreaking research and that helped to inspire me to try my hand at writing. I would also like to thank my family and friends especially my mother for always being so supportive.